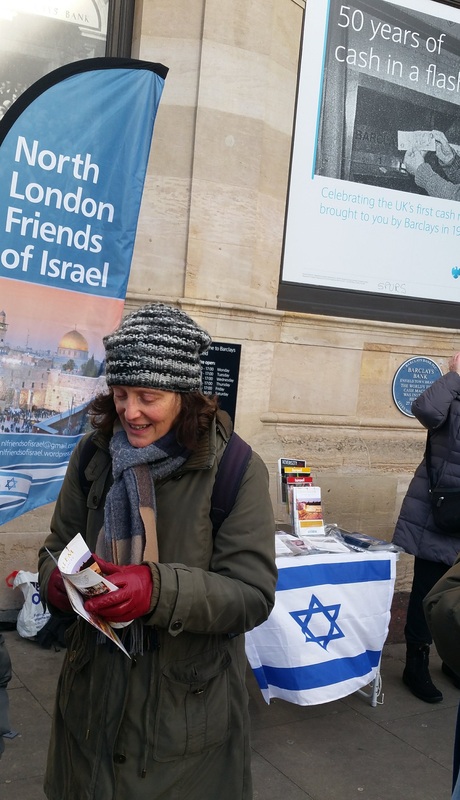 To all our wonderful Christian supporters, and to all those who are celebrating Christmas, North London Friends of Israel would like to wish you a very merry Christmas. And a very happy new year to all. Have a great holiday and come back refreshed for our activities in 2018. 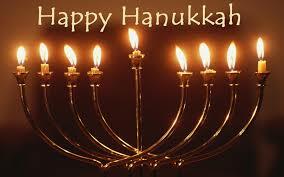 North London Friends of Israel wishes all our Jewish supporters a very happy Chanukah. 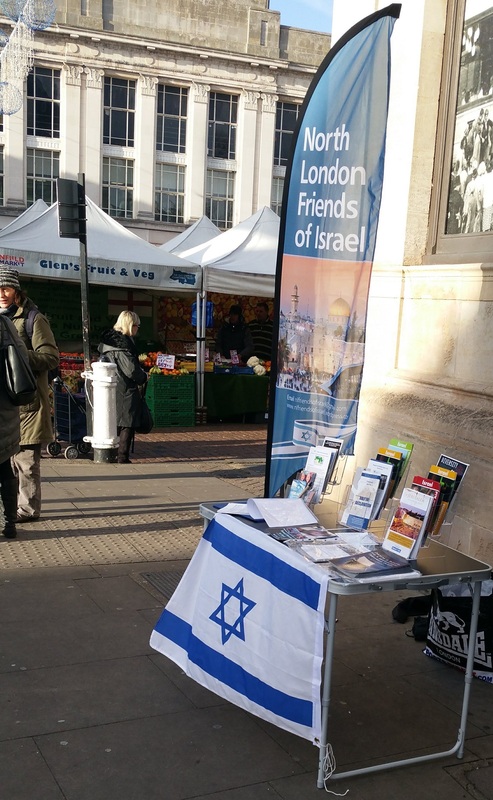 Another of our street stalls, this time in Enfield Town. Hundreds of leaflets distributed, new contacts made, and lots of interesting conversations (overwhelmingly positive). Thanks to all who helped, and to all who spoke to us during the morning. 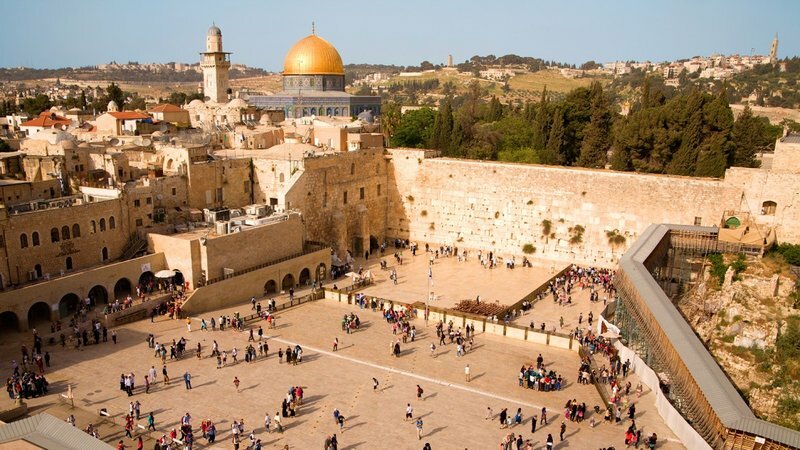 In the light of President Trump’s statement about the status of Jerusalem, and the accompanying controversy, BICOM has produced a briefing document summarising the history of the city and its importance to Israel. “Facts are stubborn things” said John Adams, the second President of the United States. This paper debunks pervasive but false narratives that — try as they might — cannot alter the “stubborn” legal facts, history and evidence that lead to an inevitable conclusion: international law supports the legality of Jewish sovereignty over Judea and Samaria. This article includes references to original source material. 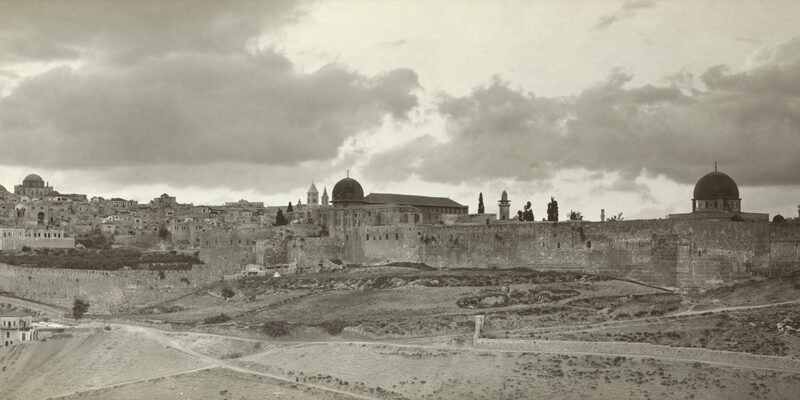 The analysis explains why the legal rights granted to the Jewish people by the British Mandate survive although the Mandate terminated upon Israel’s acceptance into the United Nations on May 11, 1949. On the basis of established rules of international law, these rights have not been superseded or uprooted and thus remain the binding and legitimate source of sovereignty in Judea and Samaria.